A veteran of Malayalam cinema, Lalu Alex's acting career spans over four decades, in the course of which he has appeared in over 220 films. He made his feature film debut in the 1978 Prem Nazir starrer Ee Gaanam Marakkumo, and subsequently rose to prominence courtesy of his performances in movies like Ee Naadu (1982), Bhookambam (1983) Kaanamarayathu (1984), Athirathram (1984) and Moonnam Mura (1988). In the initial phase of his career, the actor appeared mainly in negative roles. Towards the end of 1990s, however, Alex segued into comedic and character roles - a transition which was well-received by the audience and the critics alike. The romantic comedy-drama Niram (1999), Kalyanaraman (2002), Pulival Kalyanam (2003) and Manjupoloru Penkutti (2004) saw Alex essaying endearing supporting roles with comedic undertones, and the Kerala State Award for Best Supporting Actor came beckoning in 2005. Subsequently, he also ventured into Kollywood through films like Bheema (2008) and Sandai (2008). Alex's portrayal of Imman Nair in the historical drama Kerala Varma Pazhassi Raja (2009) and the ruthless yet somewhat vacuous land dealer Aluva Chandy in the comedy-drama thriller Ividam Swargamaanu (2009) also earned him much praise from all quarters. 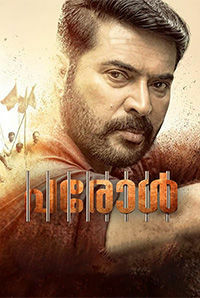 The black comedy-thriller Neram (2013), the comedy ABCD - American Born Confused Desi (2013), the drama film How Old Are You (2014) and the political drama Parole (2018) are among Alex's notable acting credits in recent times.